“Certified Farmers Market” means a place, structure or building that is used by 2 or more Mississippi growers on a frequent basis for the direct sale of their on-farm produce and/or food products to consumers. “Grower” means a person or farming operation that grows or produces agricultural products. · are labeled with the vendor’s name, address, telephone number, and ingredients and all other requirements of state law. “Vendor” means any individual or farmer who is authorized by a certified farmers market to occupy space within the market. At least 50% of the agricultural products offered for sale must be produced by the grower or under the grower’s direction within the State of Mississippi . A grower or grower representative must be present during market hours when his/her products are offered for purchase. Market must be operated by a grower’s association; a certified , non-profit organization; or a government entity (state, county, municipal, tribal, etc.). Markets can allow the sale of non-food products (arts, crafts, plants) and other products at the market’s discretion. Vendors selling home grown Mississippi produce (grown by the vendor) or Mississippi home processed foods (made by the vendor), from a MDAC certified market , are exempt from the collection of sales tax. 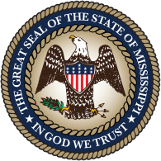 Vendors selling agricultural food products that were not produced in Mississippi , landscape plants, home processed food products not made in Mississippi , and /or arts and crafts must remit sales tax to the Mississippi State Tax Commission. An applicant may be denied certification if the applicant does not meet the criteria established in these rules. An applicant that is denied certification may request an administrative hearing before the commissioner or his designee. The request should be in writing and filed with the MDAC within 20 days of the date of the denial. A Certified Farmers Market may have its certification revoked if it fails to meet the criteria established in these rules. MDAC may revoke a market’s certification after notice and a hearing.